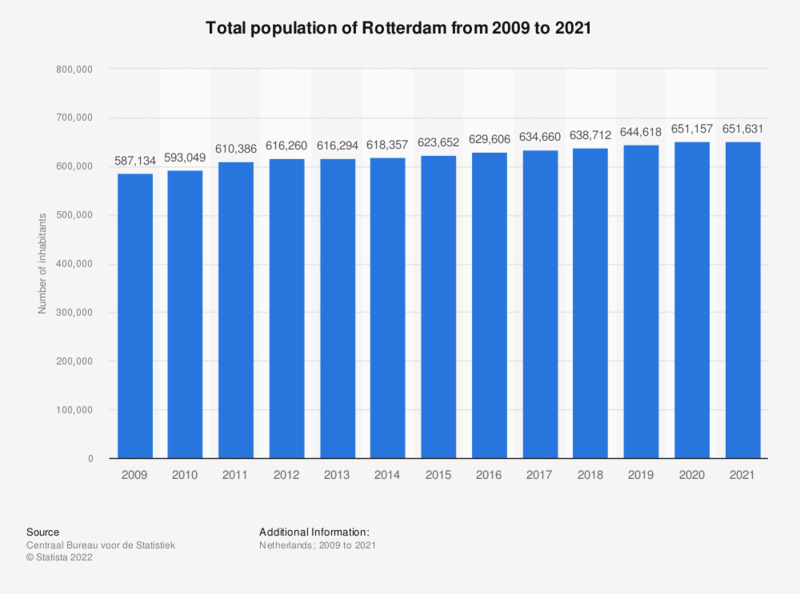 This statistic shows the total population of Rotterdam from 2008 to 2018. In the course of this ten-year period, the population of the municipality Rotterdam increased by over 50,000 inhabitants. In 2008, Rotterdam had nearly 583,000 inhabitants. By 2018, the number of inhabitants had increased to roughly 639,000.